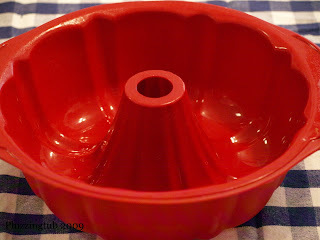 I have fond memories of eating bundt cakes as a kid. 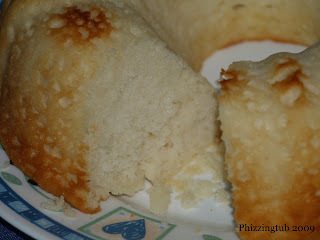 I was really fond of those cakes with the wonderful glaze that would just roll down the sides. If you notice to the left (over there ---->) under books I am reading you will notice one is about bundt cakes. We purchased the silicone mold below this weekend, not sure what happened to my metal one but it was nowhere to be found in the kitchen. I went to the book to find a recipe to try but I did not have cake flour or some of the other ingredients needed. What I ended up doing is taking a box cake, vanilla and sour cream. Not really a recipe but I took out two tbsp water required for the cake mix, added all other ingredients required for the mix, a cup of sour cream and then baked it. It's not bad but not what I had envisioned, so it looks like later in the week I will be trying one of the recipes in the book.